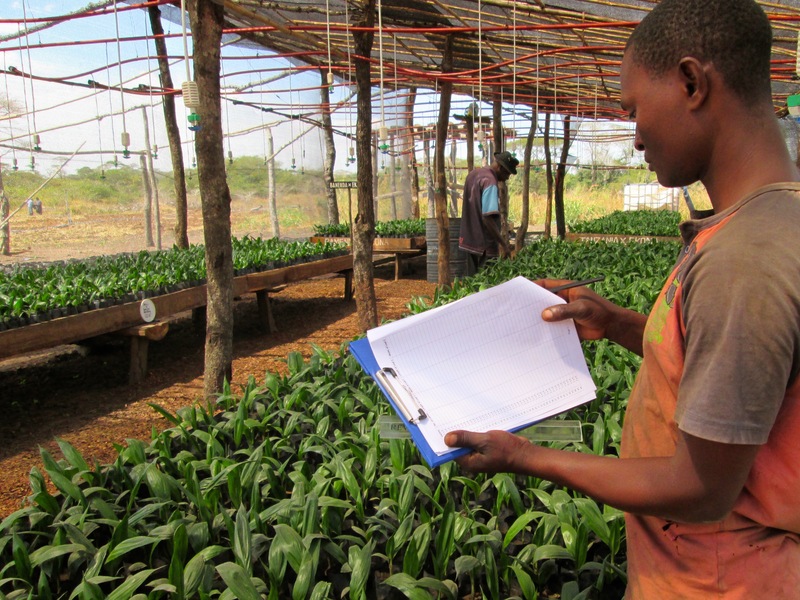 In our seed nursery we grow an improved variety of oil palm trees for one year before they go to farmers. Kigoma farmers currently harvest 200-300 litres of oil per hectare (L/ha). Seed Change trees yield between 3,000-4,000L/ha. Trees produce at this level for 25+ years. With new trees from Seed Change, farmer family income increases from $275 to $3,425 per year from the size farm and same labour requirement. That is a 1,145% increase! We grow tenera oil palm trees. Our variety is a hybrid of the local dura tree and a high yielding pisifera tree. The trees are perfectly suited to the climate, altitude, and soil type. These trees offer a new world of possibilities for our farmers, allowing them to reap greatly increased benefits for all their hard work. 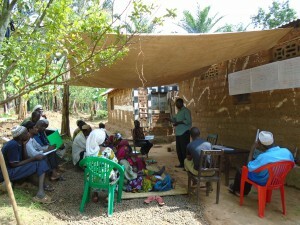 We facilitate farmer group development and train farmers on three key topics: Agricultural Best Practices, Financial Literacy, and Environmental Awareness. Lessons are taught with workbooks that rely heavily on the use of cartoons to help communicate information to farmers who are illiterate. Many lessons require farmers to get out in the field so they can try-out their newly learned practical methods. We work with village government extension officers to build on local knowledge and to spread new ideas to other villagers who seek advice from their extension officers, maximizing the impact of our farmer trainings.